Beginning in early 2004, this experimental alternative-rock trio turned duo has made tremendous strides in developing a sound all their own. With Skip's creative use of an acoustic guitar, breaking all tradition and "acoustic" customs, The Fortitude has humbly reinvented the acoustic guitars once quiet qualities, and pushed the progression of rock 'n' roll into a new space. Bridging the gap between electric and acoustic The Fortitude continues to carve out their space in the sonic landscape by combining the textures and ambience you would find in A Perfect Circle; the quirky, experimental flavor you taste in Incubus; and the spacey, jam-based feel that elevates you while you spin your Pink Floyd vinyl. Throw in some Muse and a touch of RHCP and you have the flavors proudly used to take the listener on a roller coaster ride of atmospheric riffs. Having proved themselves road worthy in 15 states across the USA The Fortitude has only begun to get the wheels rolling. With six years of show experience and three albums under the belt there is still no sign of giving up on the dream. 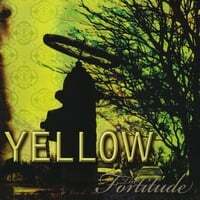 You’re in for a special treat when you hear the latest Rock album, “Yellow,” by the talented band, The Fortitude. This group has all the right moves with these solid and finely crafted Rock songs as they are not only innovating but they hold magnetic style. Musically, the expressive vocals are sharp flowing while the instruments capture the energy of edgy Rock attitude. Starting off the CD, “Waking Up,” ignites with heavy guitar riffs that glide freely around strong and solid vocals. Taking a softer approach the song, “Been Down,” moves freely with velvety vocals and sweet acoustic guitar. The guitars are heavy and crunchy on the song; “Unknown,” as the edgy vocals set fire to the rocking beat. If you’re a fan of new, modern Rock music, then you will thoroughly enjoy the album, “Yellow,” as it has a fantastic collection of cutting edge Rock songs. Signed a worldwide digital distribution deal with JMD Records/Universal Music Group. October 20 look for "Yellow" at all of your favorite download stores everywhere.